Sept. 23, 2002: The release of “Phoenix 0.1” marks the earliest version of the browser that would eventually become known as Firefox. June 15, 2004: Mozilla launches the Add-ons Gallery, an official comprehensive list of all the extensions, themes and plug-ins users can employ to customize their browsers. Nov. 9, 2004: Mozilla unveils Firefox 1.0, the first full version of the browser. Fans of the project organized a full-page advertisement in The New York Times to herald the release. Aug. 12, 2006: Enthusiastic Firefox fans, mostly students from Oregon State, make a 220-foot wide crop circle reproduction of the Firefox logo in an oat field near Amity, Ore.
Feb. 21, 2008: The total for downloads of Firefox surpasses 500 million. June 17, 2008: Mozilla releases Firefox Version 3.0, which establishes a Guinness World Record for “Most Downloads of a Software Application in 24 Hours,” totaling more than 8 million. There was no previous record. Feb. 8, 2011: The beta version of Firefox 4 includes a “Do Not Track” feature, furthering the company’s commitment to privacy awareness. March 29, 2011: Firefox releases a mobile browser for Android devices, initially available in more than 10 languages. 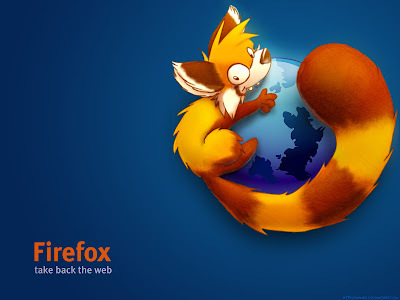 April 2011: The company implements a “Rapid Release” schedule, making a new version of Firefox available every six weeks. By this schedule, there are always four versions of Firefox being worked on at a given time. Users can try the “Nightly” version, which has the latest updates that have not been fully vetted; the “Aurora” version, which is more stabilized; or the “Beta” version, the last step before an official release. July 26, 2012: The download total for add-ons surpasses 3 billion. Firefox currently has over 17,000 user-created add-ons. Today: More than 450 million people use Firefox. About 40% of the code was written by volunteers. The browser is extremely popular around the world; it is available in 75 languages and more than half of users employ non-English versions.